A Santa Fe, New Mexico based chef, author, Native foods historian and photographer Lois Ellen Frank was born in New York City and raised on Long Island, New York. Her first career experiences were as a professional cook and organic gardener. In 1982, Lois entered Brooks Institute of Photography in Santa Barbara, California, from which she gained a Bachelors of Arts, with honors in 1985. Graduating at the top of her class, she received the exclusive Photographic Illustration Award. An award that recognized only one senior student who has consistently demonstrated the highest ability to apply knowledge of technical process to effectively communicate ideas through photographic media. She has subsequently earned prestigious commissions, which continue to take her throughout the Americas. Projects have ranged from depicting traditional cultures to documenting contemporary haute cuisine and agricultural products. A prospectus, complete list, and portfolio are available on request. Lois spent over 18 years documenting foods and lifeways of Native American tribes from the Southwest. This lengthy immersion in Native American communities culminated in her book, Foods of the Southwest Indian Nations, featuring traditional and contemporary recipes, published by Ten Speed Press. It won the James Beard Award in the Americana category and was the first Native American book to win the award. She has worked with world-renowned chefs, scientists and academicians and published many culinary posters and cookbooks. She has worked with National and International advertising agencies as well as many editorial clients. Some of her advertising clients have included: Nambe, Inc., International House of Pancakes; Kundsen; Taco Bell; Evian Water; Carnation Co.; Simpson Paper; Lavosh Hawaii; XOCHI; as well as many others. She has also photographed many food posters including: The Great Chile Posters, Indian Corn of the Americas, Tomatoes, Sunflowers, Squash, Exotic and Tropical Fruits, Citrus, Grains, Chesses of the World, Shellfish, and Eggplant to name a few, and photographed cookbooks for some of the most famous chefs in the United States. These chefs include: Mark Miller, chef/owner Coyote Cafe & Red Sage, Santa Fe, New Mexico and Washington D.C.; Hubert Keller; chef/owner Fleur de Lys, San Francisco; Roy Yamaguchi, chef/owner Roy's Restaurant, Honolulu, Hawaii; John Sedlar, chef/owner St. Estephe and Abiquiu Restaurant, Los Angeles; Jim Coleman, Executive chef at the Rittenhouse Hotel, Philadelphia, PA; Tommy Tang chef/owner Tommy Tang's, Los Angeles as well as the La Casa Sena Cookbook, The Steaklover's Companion, Great Bowls of Fire, Pasta Exotica, and a book on Tamales with Mark Miller, Stephen Pyles and John Sedlar published by Macmillian, USA. The Great Bean Book which she worked on with Florence Fabricant and Elizabeth Berry and most recently her own cookbook, Foods of the Southwest Nations. She has exhibited her work at the Western States Muesum in Santa Barbara, California with a show entitled "Under the Spell of the Pinon Smoke", Contemporary images of Native Americans and the American Southwest, Spring 1987 and another exhibition at the Maxwell Museum of Anthropology in Albuquerque, New Mexico with a show entitled, "A Common Thread, Corn and Culture in Mexico", 4 x 5 Polaroid Transfers featuring images of Culture and Ritual, May 1997. Lois received her Master of Arts in Cultural Anthropology from University of New Mexico in May, 1999 where she focused on the importance of corn as a common thread to all Indigenous tribes throughout the Americas. She was accepted into the Ph.D. program at the University of New Mexico and is presently completing her PhD dissertation. 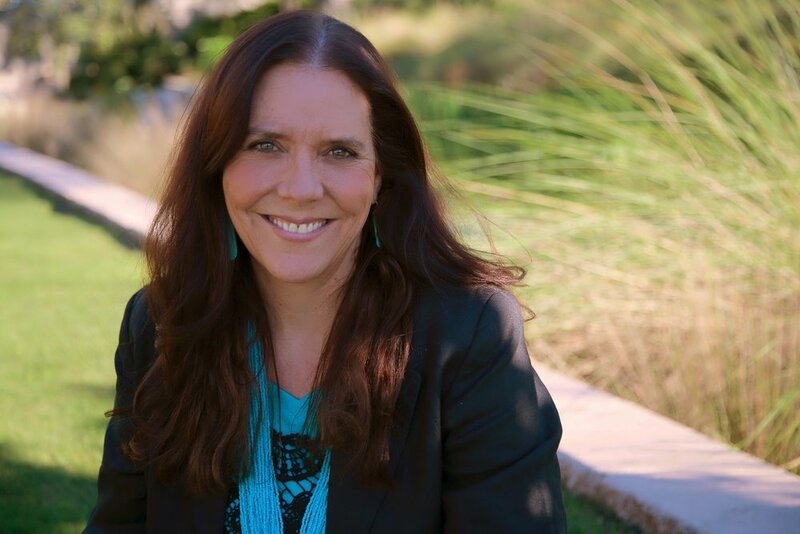 Her dissertation entitled, The Discourse and Practice of Native American Cuisine; Native and Non-Native Chefs in Contemporary Southwest Kitchens, will also be her next book, tentatively entitled The Turquoise Plate. She continues to be involved in research on foods, including medicinal and spiritual plants, as well as working on projects focusing on the importance of traditional foods amongst Indigenous Peoples throughout the Americas, as sustenance and their uses ritually. Her Ph.D. thesis examines contemporary Southwestern Chefs using indigenous ingredients in their cooking and how this is representational of their own identities. She works with Native American & Non-Native chefs combining traditional ingredients with contemporary techniques. A big part of her dissertation work includes the senses, the ethno-aesthtics of food and food presentation, and food as being representational of local identities.She uses her strong photographic background with her learned academic knowledge to publish books, museum exhibitions, and papers on this subject. She is a featured cooking instructor at the Santa Fe School of Cooking where she teaches about Native American foods of the Southwest. Guest Chef appearances have taken her to many famous restaurants around the country where she, with Native Chef Walter Whitewater (Diné) have prepared delicious menus from the foods she has studied. She continues to teach about foods as a guest chef, lecturer, and instructor Nationally. She is an adjunct professor at the Institute of American Indian Arts (IAIA), in Santa Fe, New Mexico and teaches about the anthropology of food and the ethnobotany of foods and plants of the Southwest. Lois has written food articles for New Mexico Magazine, August, 2007, September, 2006, November, 2005, Guest Life New Mexico, 2005, Edible Santa Fe, Fall 2007 & 2006, Aboriginal Voices, 2001-2003, Vegetarian Times Magazine, 2004, 2005 to name a few, on foods of the Southwest and Native American foods of the region. In each published piece she has been the photographer as well as the author and chef. She was the project coordinator on the Indian Pueblo Cultural Centers, event entitled, Connecting Communities: Native Foods and Wellness. Most recently, Lois has started a Native American Catering and Food Company named Red Mesa. Red Mesa cooks for private events, parties, weddings, corporate meetings and gallery openings as well as Native events and organizations all over the United States. Red Mesa combines Native American Culture and Cuisine by providing patrons with the history of the foods from the Southwest Indian Nations the two chefs serve. This gives their patrons a unique fine-dining experience. Lois has worked with the American Indian Science and Engineering Society (AISES), the Tohono O?odham Community Action group (TOCA), the Center for Sustainable Environments at the University of Northern Arizona University (CSE), the Cultural Conservancy in San Francisco, the California Indian Basket weavers Association (CIBA), Museum of Natural History in New York, and opened the exhibit Totems to Turquoise at the Southwest Museum in Los Angeles, in April of 2008. She has been the subject of many articles on foods, chefs, and authors of the Southwest and continues to be active in all aspects of her career. Her research and documentation in written, photographic, and food form includes the agricultural, culinary, mythological, and socioeconomic uses of foods & plants amongst various indigenous peoples all over the Americas. She continues to be actively involved in her photographic career working with a diverse group of clients as well as pursuing her academic knowledge and teaching about foods of the Americas.